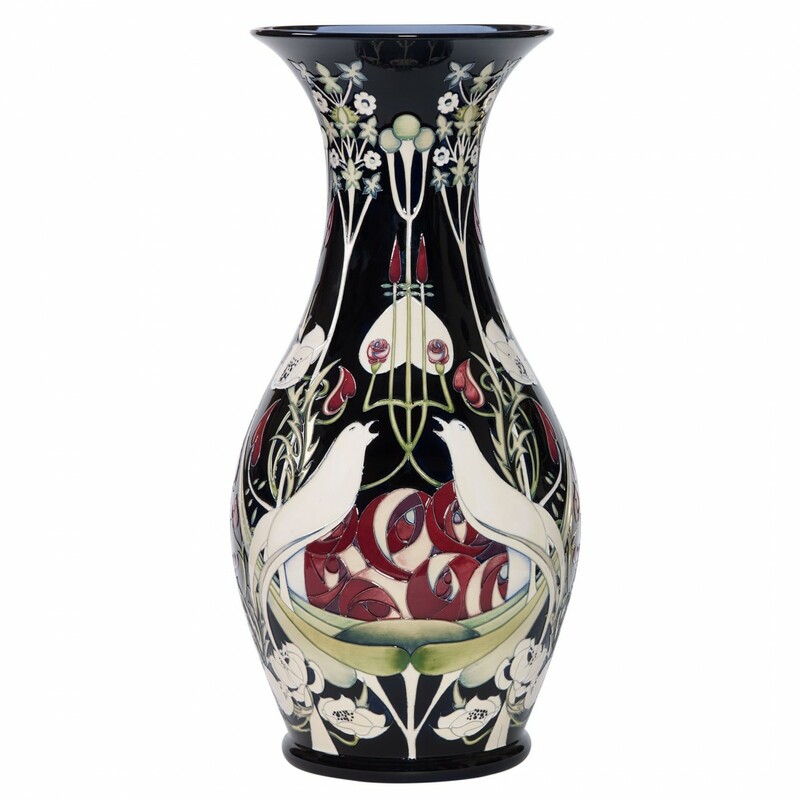 Victorian graphic artist, Talwin Morris, was Nicola’s inspiration for this brilliant range of Moorcroft pieces, but as ever with Moorcroft designers, in all their work, bring their own individual flair. In Talwin we see very delicate greens and blues mixed subtly with, purples, reds and black. Nicola gladly shares this magnificent design said by Moorcroft to be one of the greatest collaborations between past and present in Moorcroft history. Moorcroft connoisseurs would wholeheartedly agree.